Want to share the holiday spirit with your PCs? 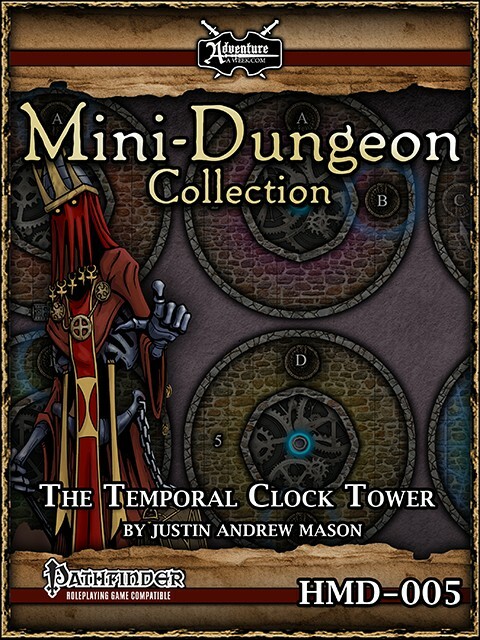 Jonathan Nelson of Adventure A Week has donated copies of the New Year's Eve Mini Dungeon - The Temporal Clock Tower to every participant in RPG Crossing's membership and charity drive who renews their own one-year membership, receives a one-year membership as a gift, donates $10 or more through our team donation page, or donates matching funds. You have the option of either Pathfinder or 5E for this prize. Please note that for this particular prize, you will have to share an email address (which will be shared with Adventure A Week) to receive the PDF.